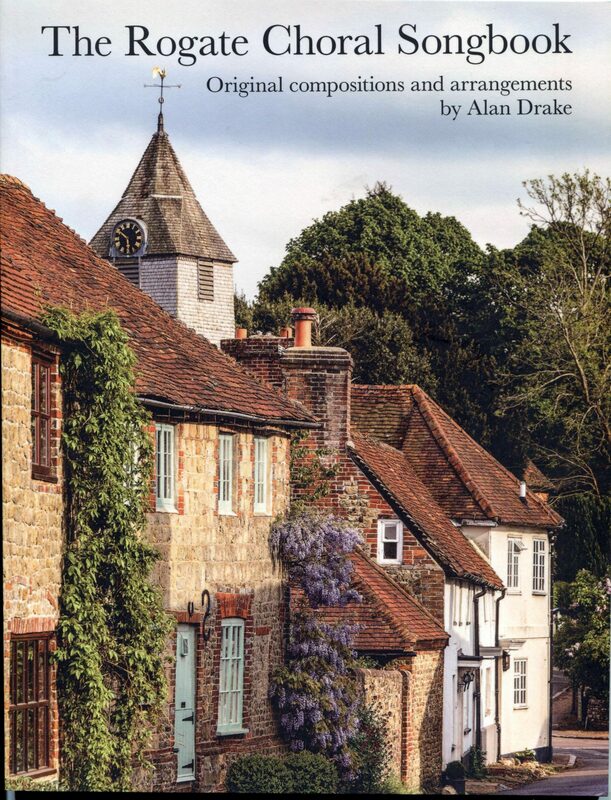 As a long-overdue recognition of its long-serving Music Director, Rogate Choral Society has published The Rogate Songbook containing some of the compositions and musical arrangements of Alan Drake. Alan has been directing the society, formed in 1908 when it first performed in the Petersfield Musical Festival, for 32 years. The works in The Rogate Songbook were composed and arranged for the choir’s year which regularly features a carol concert each Christmas and a country house midsummer celebration, as well as still participating in the Petersfield Musical Festival each year, as it has done since 1908. It is these events which have promoted the compositions and arrangements in the book. The songbook’s wide range includes works for The Changes of the Year, Sea Songs, Northumbrian Folk Songs, Spirituals, arrangements of Schubert’s songs and On Gardens. Copies of the songbook will be sent to other local choirs in the region and “it is anticipated that these original and tuneful settings will be enjoyed by choirs far beyond Rogate,” said the choir’s president, Graham Ferguson. “As we can see from what we have published here, Alan covers a very wide spectrum in the world of music, but for the society, he has been the centre of our musical world. “Although our society is over 100 years old and Alan ‘only’ took us under his wing in 1985, it is hard to remember a time when he was not looking after us. In all those years he has regularly handed us sheets of music to rehearse and it is only to easy to miss the tiny initials ADD which often appear unobtrusively in the corner. Such is his modesty that it only occurred to us very recently that a treasury of his compositions and arrangements must surely exist and be given the publicity they undoubtedly deserve,” said Mr. Ferguson. In all the choir is aware of over 100 such compositions and arrangements; Alan believes, “there may be more than 50”. 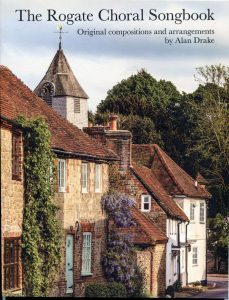 Although Alan has taught at schools in many parts of the country, the bulk of his career has been from a base of his home in Haslemere. Among the schools where he has taught have been: Hurstpierpoint in East Sussex: Worksop College preparatory school in Nottinghamshire; St. Edmund’s Hindhead; the Downs School in Colwall, Malvern; Eagle House in Berkshire – preparatory school for Wellington College; Cranleigh Preparatory School in Surrey and the Winchester House School. Since his early retirement in 1994 he has continued to work on a part-time basis at Winchester College. Throughout all this period Alan has been associated with various choral societies including, locally, Fernhurst Choral Society, the Crowthorne Choral Society, Capel Choral Society and involvement with the Leith Hill Festival. He has conducted the Haslemere Christmas Cracker concert since its inception in 2000; he is an official accompanist at the Godalming Festival. He was also associated with with The Independent Association for Preparatory Schools holiday orchestral course each Summer and Spring, serving as chief auditioner for the orchestra. Alan arranged a memorable version of the national anthem for the orchestra. Rogate Choral Society rehearses each Tuesday evening at Rogate Village Hall. Singers, or even those who think they may be singers, are most welcome and try the society out. Copies of the Rogate Songbook are available from the society’s chairman, Gerard McCloskey. gerard.mccloskey@merlin.uk.com. 01730 890 472.